Krishna Janmashtami being the day to celebrate the birth of Lord Krishna, it is quite common for people to dress up their toddles and young kids in the attire of this naughty god. However, many people fail to attain the desired look for their child primary because they either choose the wrong dress or select the inappropriate accessories. While there are complete Krishna dresses available in the market, they are designed in general sizes which might not fit your child perfectly. 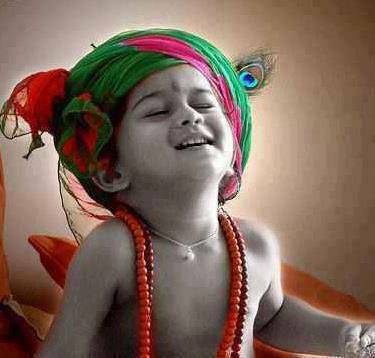 Given below are some important dressing tips that will help your child achieve the look of a smart and cute little Krishna. 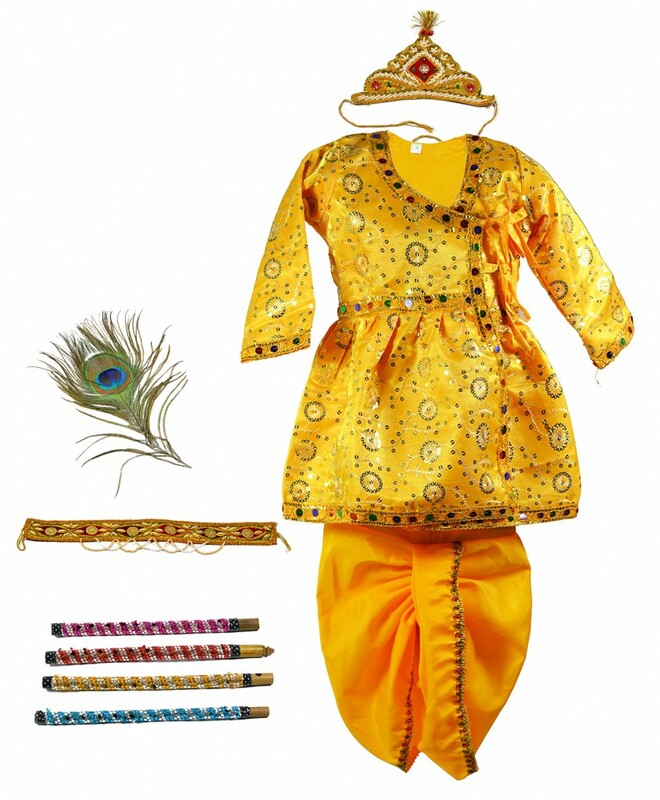 Drape a yellow dhoti around the child’s lower body to create the basic Krishna look. You can choose a proper dhoti or a ready to wear piece that is easily available in the market. In case you choose the ready to wear dhoti, be sure to try out its fitting and size on your child before making the final purchase. Adorn the head of your child with a golden colored prince crown and make sure to attach a small peacock wing to it. 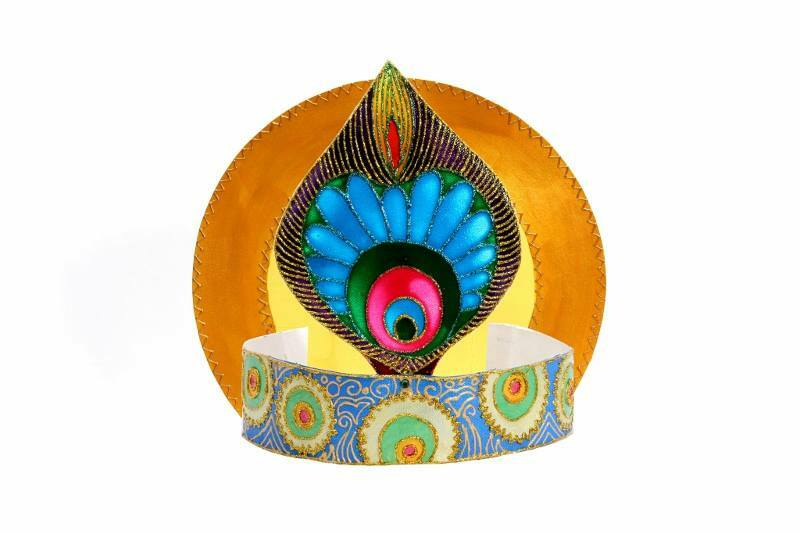 You can create the crown at home or purchase it readymade from the market. You can use crowns made from paper or cloth to avoid the child from becoming cranky or irritated. Add the right accessories to complete the look of your Krishna. 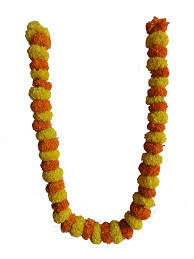 These include a floral garland and a beaded necklace around the neck. A slim golden cloth string tied near the waist to act as kamarband and a beautifully decorated flute placed in it. Finally add a small touch of light makeup and maybe some paint to darken the complexion of your child for an authentic Krishna look. Most people forget this important fact that their favorite god was known for his dark complexion and hence do not get a realistic look.